26 Mar 2019 / 11:03 H.
I WAS one of the lucky ones to travel on AirAsia X’s inaugural flight to Fukuoka, the southern capital of Kyushu island, as part of a media tour sponsored by the Japan National Tourism Organisation (JNTO). The city marks the airline’s fourth destination in Japan. Fukuoka has a population of 1.5 million, almost equal to that of Kuala Lumpur. 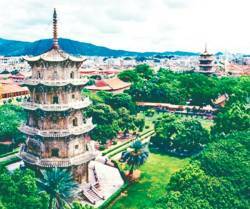 But while Kuala Lumpur began at the confluence of two rivers, Fukuoka city is bisected by a single river, the Naka, with the ward on the east of the river retaining its old name Hakata, and the one on the west known as Fukuoka. 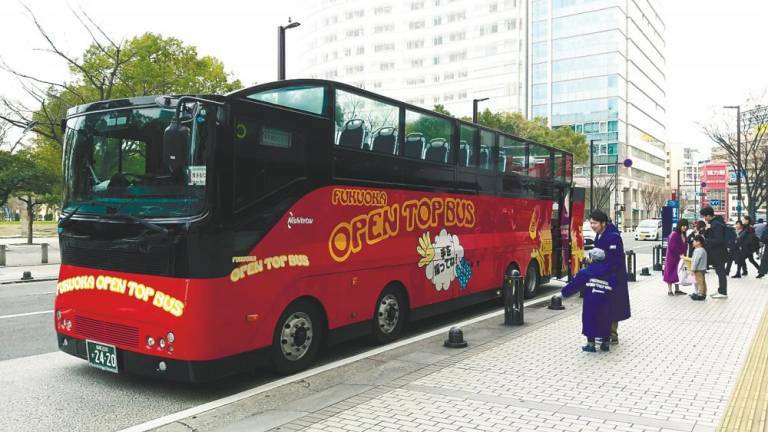 For those wanting a quick overview of the city, try the Open Top Bus tour, which offers a choice of three routes – covering the city’s seaside and port, its historical sections, and nighttime view. We took the historical route, and were taken to see how the city’s centuries-old temples were preserved in the midst of modern buildings. My only complaint is that the English-language headphone translation was somewhat lacking. 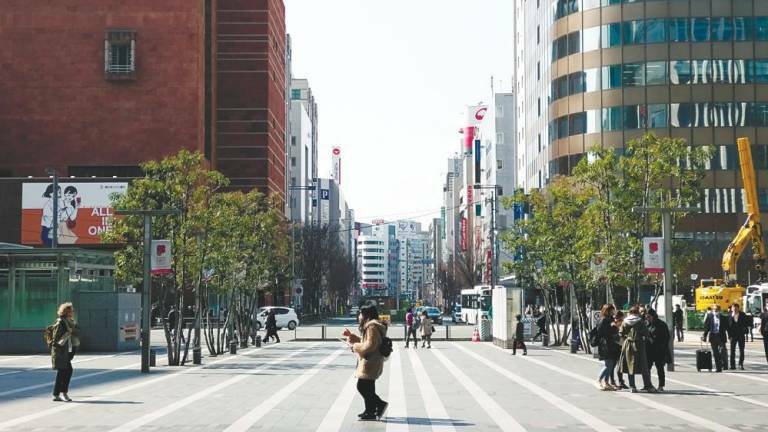 For those looking to shop, the city has several great locations like Kitte Hakata, or the subterranean Tenjin Underground Shopping Centre. My personal favourite is the centrally-located Canal City Hakata, a large winding mall with a built-in canal and water fountain feature. I would also recommend the Kawabata Shopping Street for traditional souvenirs, apparel or snacks. 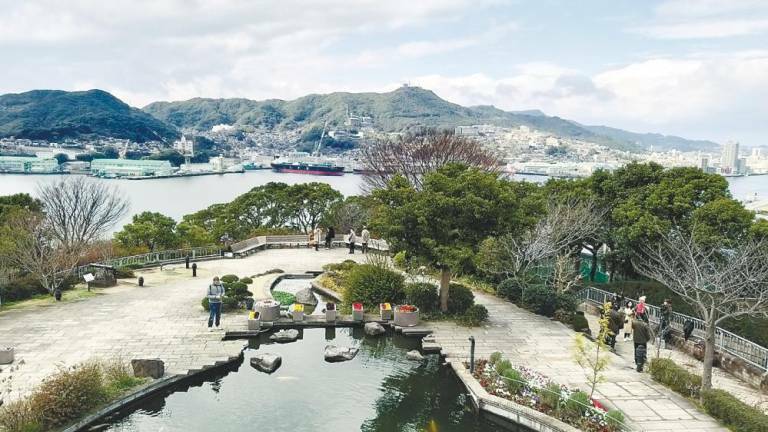 About 90 minutes away from the city on the northernmost part of Kyushu lies Moji Port, Fukuoka’s former trading port during the turn of the 20th century. 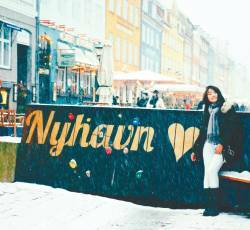 The place is known as a ‘retro town’, thanks to its gorgeous late 19th century western-style former government buildings, making it a dream for both Instagrammers and architectural students. 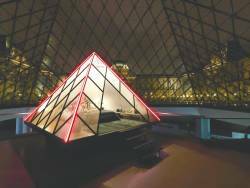 The entire port can be viewed from the Mojiko Retro Observation room on the 31st floor of the Retro Highmart building, which is designed by renowned Japanese architect Kisho Kurokawa, who also designed our own KLIA and KL Sentral. We took a short ferry ride across the Kanmon Straits to Shimonoseki on the main island of Japan, where we explored the bustling Karato Fish Market on Kamon Wharf. 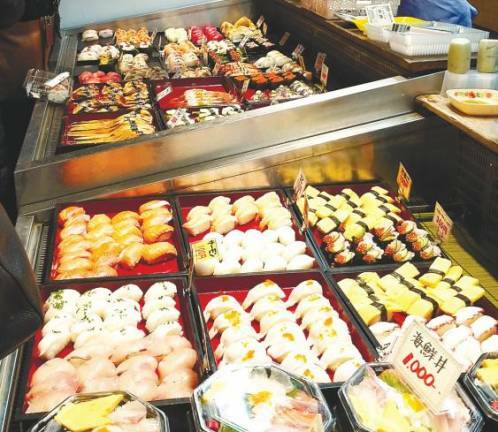 The market is where locals can get some of the freshest catch from the sea, including slices of the legendary puffer fish, or fugu. We travelled further up north to Yamaguchi Prefecture, taking a narrow mountain road that was passable by only one vehicle at a time, in order to see one of the most beautiful spots of the tour – the Motonosumi Inari Shrine. 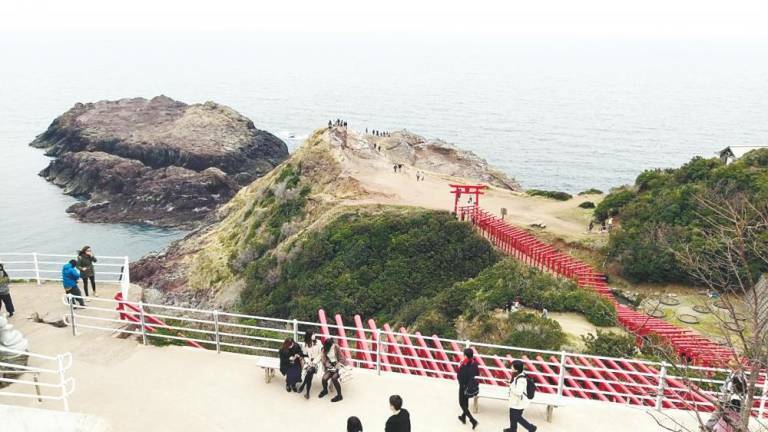 A fox spirit shrine overlooking the Sea of Japan, the shrine is known for its 123 red torii gates leading a path down from the shrine to the cliffside, with some breathtaking views. 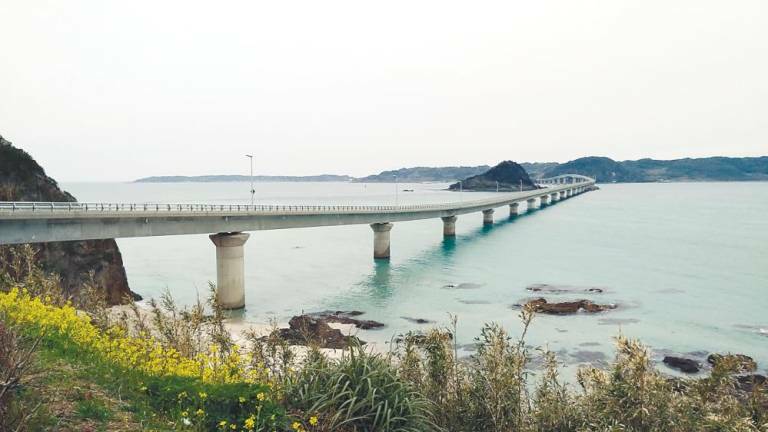 Another place worth visiting is the iconic Tsunoshima Bridge, another picturesque spot, and if you are really lucky and arrive during a lull in the traffic, you can take photographs while crossing the road leading to the bridge. 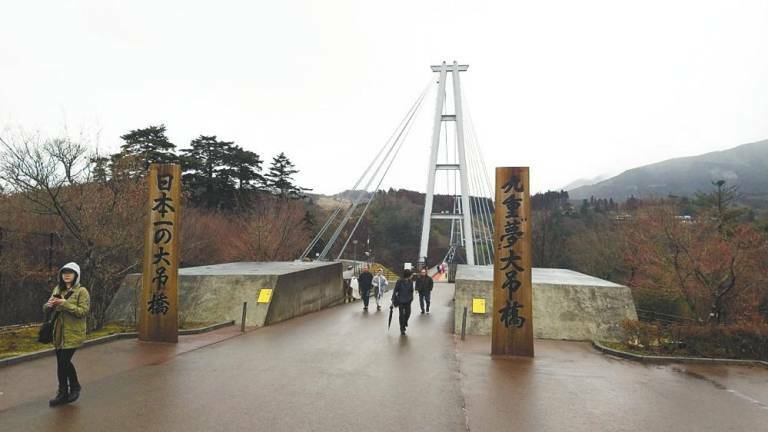 But even the Tsunoshima Bridge pales in comparison to another bridge, located about two hours’ drive from Fukuoka city – the Kokonoe Yume (Dream) Suspension Bridge, in Oita Prefecture. Travelling there took us through perhaps the most scenic parts of Kyushu, past stretches of padi fields and up pine tree-covered mountains. The bridge itself at 390m is the longest suspension bridge in Japan and stretches over some gorgeous waterfalls. We were there on a rainy spring morning, and a thick fog was rolling all around us. I was told that during autumn, the leaves of the trees below us would have turned a rich orange and red. We also went to Mount Daikanbo in the neighbouring Kumamoto Prefecture. It is one of four mountain peaks collectively known as Mount Aso, and located in the midst of an active volcanic caldera. The thick spring fog obscured our view at first, but lifted soon afterwards, revealing one of the most beautiful sights of the entire tour – the rolling flat padi fields below and distant mountain peaks surrounding us. We also paid a visit to the bustling Kumamoto city, where the pretty Suzuen Jiouji Park is located. The historical park houses the Kokidenju Room, where visitors can partake in a proper Japanese tea ceremony, stroll through the well-manicured gardens dotted with sakura trees, visit a Shinto shrine and the Inari Shrine, and during spring and fall, watch Noh theatre performances at two designated stages. Next, we headed to Nagasaki, taking a 30-minute ferry ride and a two-hour bus drive. The port town has a rich history, and many picturesque viewing spots, not least of which is Glover Garden, named in honour of a Scottish merchant who helped to industrialise the town during the late 19th century. The garden houses many of the original western buildings of the era, which were transplanted there from other parts of the city. We also paid a visit to Nagasaki’s Atomic Bomb Museum and Peace Park, built to commemorate the nuclear attack on the city in 1945. It was an educational and moving experience, and a poignant reminder to visitors about the devastating effects of war. Leaving the museum, it is even more striking how much the city has recovered in the decades since. 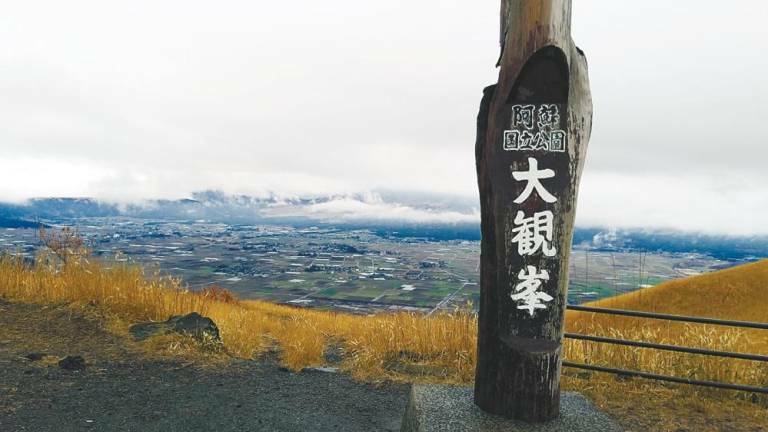 Overlooking the city is Mount Inasa, which offers some sweeping views of the port. We were fortunate enough to be able to take in the night view, with the lights of the buildings below turning Nagasaki into a sea of stars. For first-time visitors to Japan, I would highly recommend visiting Fukuoka. The city’s unique vibe reminded me of Kuala Lumpur more than once, and the city makes the perfect starting point to exploring more of Japan, especially since the city’s Shinkansen (bullet train) station of Hakata is the starting point for the Sanyo line, which reaches all the way to Osaka in the north. 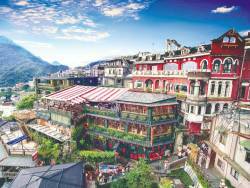 AirAsiaX flies to Fukuoka from Kuala Lumpur four times weekly. For more on Fukuoka and Kyushu, visit the JNTO website or Facebook page.